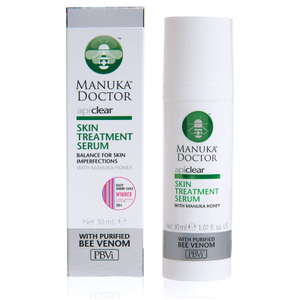 Improve the appearance of blemish prone skin with Manuka Doctor ApiClear Skin Treatment Serum. A serum that thoroughly hydrates whilst also calming aggravated skin. The treatment contains anti-bacterial Purified Bee Venom™ that targets spots and acne whilst also reducing the appearance of fine lines and scars. 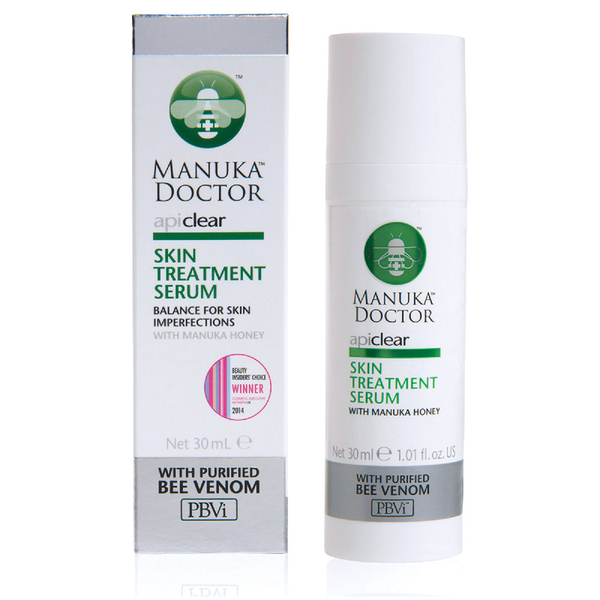 The serum is also infused with manuka honey and royal jelly which help to moisturise skin. An ideal daily regime for tackling the causes of spots and acne. Apply to clean skin every morning and night, followed by the ApiClear Facial Moisturising Lotion.